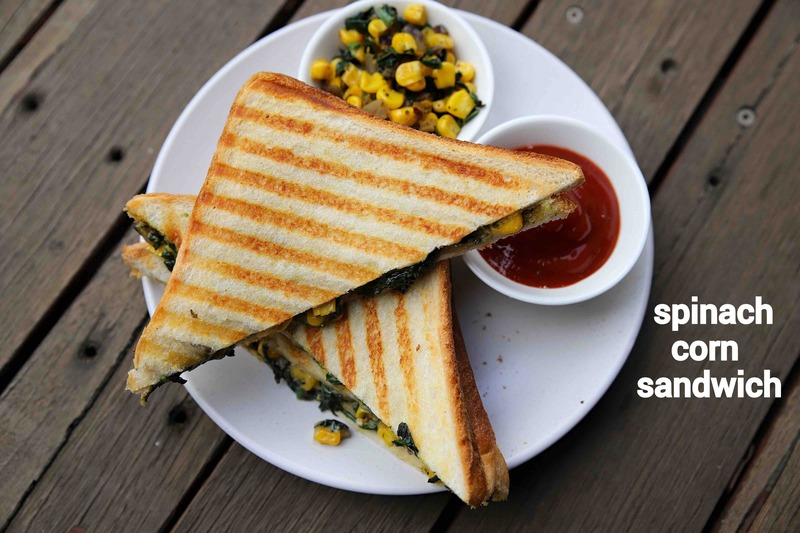 spinach corn sandwich recipe | corn spinach sandwich | spinach and corn sandwich with step by step photo and video recipe. indian street food recipes have adapted as per the local needs. and rather than just sticking around traditional deep-fried snacks, it has embraced the sandwich recipes as eveni..